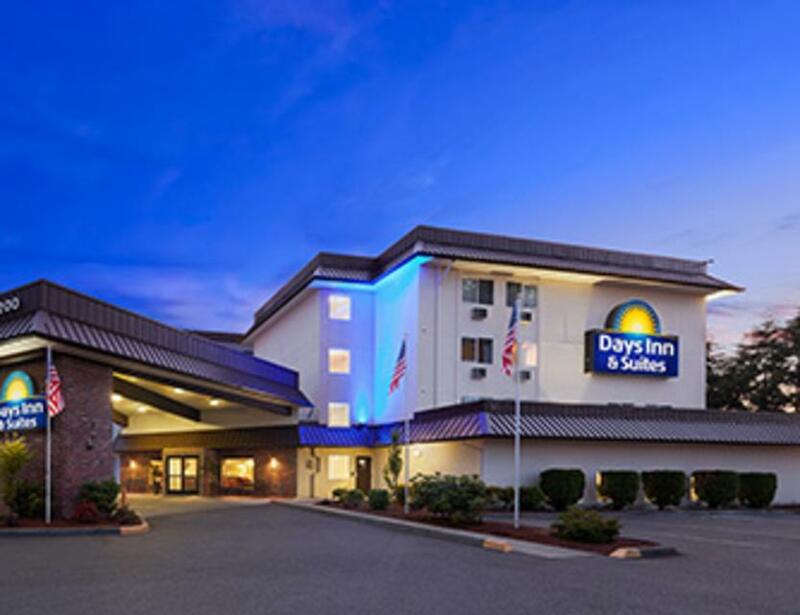 Conveniently located off of Interstate-5 with a friendly staff, thoughtful amenities and ample parking for buses, trucks and RV's, Days Inn Lacey is a great place to stop and stay. 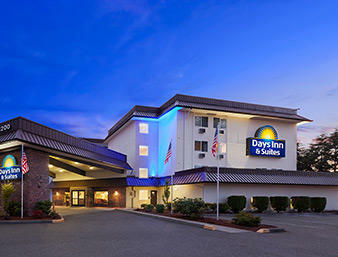 This pet-friendly hotel is within walking distance to many restaurants, a casino, and is a few blocks from Walmart, Best Buy and other stores. Visit the Olympia Lacey area and take in a winery or brewery, play a round of golf or explore the rugged coastline of the bay. It's all within a short drive of the hotel. Back at the hotel, relax in the hot tub, sauna and steam room, splash in our heated indoor pool or work up a sweat in the fitness center. The hotel features two meeting rooms perfect for small gatherings or a banquet. Little extras like laundry facilities, a business center with public computers, free Wi-Fi, and a free breakfast buffet make your stay complete. Relax in your spacious guest room with large flat-screen TV, refrigerator and microwave.